I really enjoyed this movie, and especially seeing Graham Greene and Tom Jackson together again. Loved them in Medicine River and this is basically another good pairing. 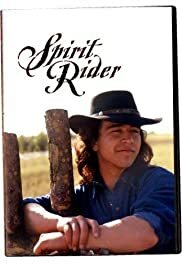 It is the story of the Indian tribe trying to bring back children who had been taken from the reservation when their parents were gone. As usual, the government thought it best to take them from their heritage because they did not have a mother or father. It shows the closeness of those on the reservation as they step in and help to bring a sense of family and heritage to these children growing up without it. It is difficult sometimes, as the movie shows, for those who remember only foster homes in a different life. To learn to accept the culture of their people, it becomes a challenge of patience to the older ones who work to impart that culture into the lives of these children/teens. Making it harder for this particular teen, is the fact that his grandfather is partly to blame for his mother's death. I enjoy the closeness that comes eventually in this group of people as they work with the teens involved. It is well worth watching.